Gonzaga’s nonconference basketball schedule is nearly complete. The latest games announced include a season-opening date with Idaho State and a December matchup against the University of Texas at Arlington. 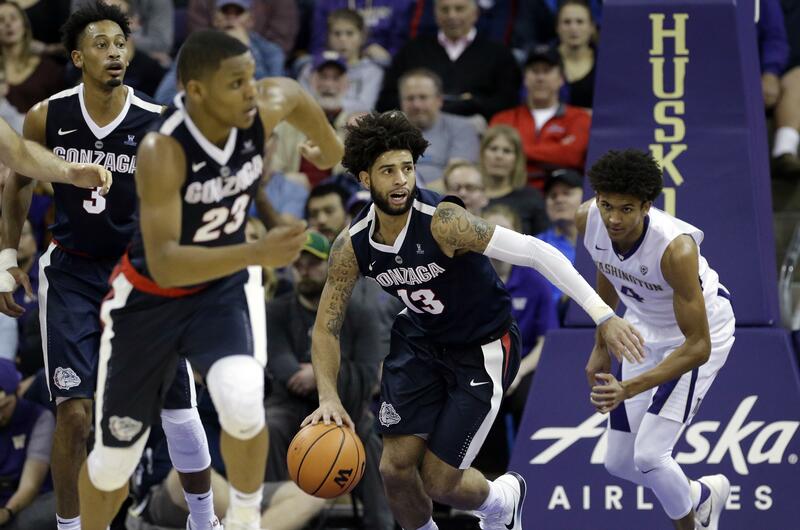 The Zags have just one opening, which will be a home game associated with the Maui Invitational. For example, Maui participants Xavier and Illinois will entertain Evansville. Illinois, GU’s first-round opponent in Lahaina, lists the game as Maui on the Mainland. UT Arlington, which visits Gonzaga on Dec. 18, is coming off three consecutive 20-win seasons but made headlines nationally when it fired head coach Scott Cross in March. The Dallas Morning News reported that voices were raised during a meeting at the end of the 2016-17 season when athletic director Jim Baker told Cross he wanted UT Arlington to be “the next Gonzaga.” The Mavericks won a school-record 27 games that season. Scott was dismissed shortly after last season’s 21-13 campaign. Baker hired Chris Ogden, an assistant coach at Texas Tech. Ogden played for and coached under Rick Barnes at Texas and later assisted Barnes at Tennessee. Gonzaga and Barnes’ Vols collide Dec. 9 in Phoenix in what could be a showdown of Top-5 teams. The Mavericks lost their top five scorers from last season, including two standout frontcourt players in Kevin Hervey and Johnny Hamilton. The 6-foot-9 Hervey, drafted late in the second round by Oklahoma City, averaged 20.5 points and 8.5 rebounds. The 7-foot Hamilton contributed 11.1 points, 8.8 rebounds and 77 blocked shots. The backcourt lost seniors Erick Neal (16.7 points, 6.7 assists), Kaelon Wilson (11.4 points, 4.3 rebounds) and Nathan Hawkins (6.3 points). Forward Davion Turner (5.4 points, 2.9 rebounds) is the top returning scorer. Gonzaga will open at home against Idaho State on Tuesday, Nov. 6. The NCAA moved up the start to the season to avoid being overshadowed by a busy college football weekend Nov. 9-10. Idaho State is coming off a 14-16 season, including a 9-9 mark (tied for sixth) in the Big Sky Conference. The Bengals return their top two scorers in 6-6 wing Jared Stutzman and 5-11 guard Brandon Boyd. The pair combined for nearly 30 points per game and 110 3-pointers. Guard Geno Luzcando (10.9 points, team-high 2.9 assists) graduated and 7-foot center Novak Topalovic (10.7 points, 6.8 rebounds) transferred to Utah. ISU senior guard Sam Dowd, a product of Gonzaga Prep and North Idaho College, received the Most Courageous Award in February from the United States Basketball Writers Association. Dowd, who overcame numerous obstacles as a youngster, including stints of homelessness, started eight games last season. GU’s schedule includes marquee matchups against Texas A&M, Creighton, Washington, Tennessee, North Carolina and three high-level games at the Maui Invitational. Gonzaga is expected to add a closed preseason scrimmage and an exhibition game. Published: Aug. 7, 2018, 11:46 a.m. Updated: Aug. 7, 2018, 4:56 p.m.